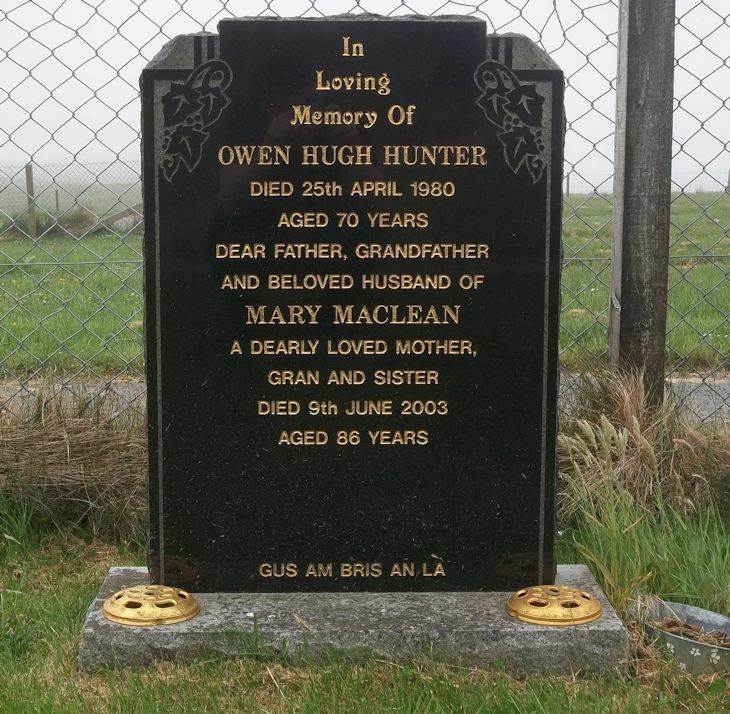 Skye Gravestones | Owen & Mary (Maclean) Hunter. Owen & Mary (Maclean) Hunter. In/loving/memory of/QWEN HUGH HUNTER/died 25th April 1980/aged 70 years/dear father, grandfather/and beloved husband of/MARY MACLEAN/a dearly loved mother/grandmother and sister/died 9th June 2003/aged 86 years.